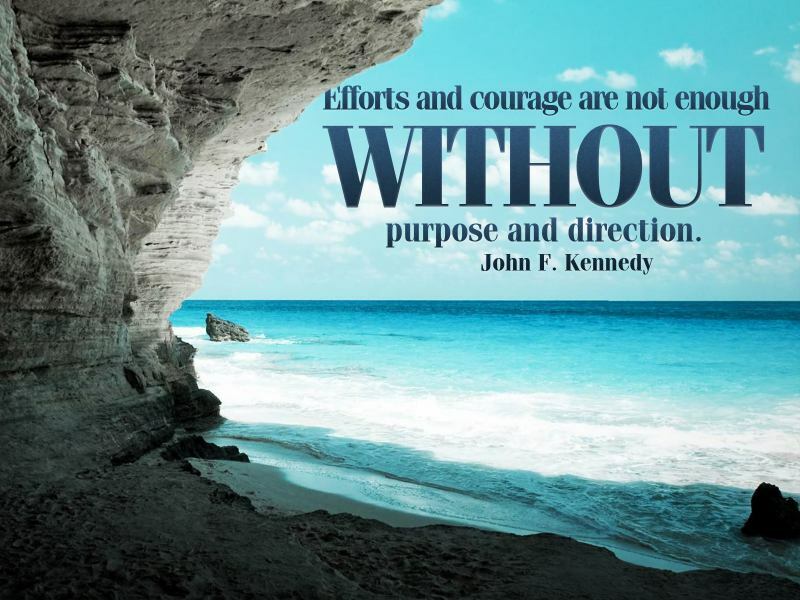 It is not enough to have courage and to expend all your energy and effort each day without first having a sense of purpose and direction. Without that kind of blueprint plan - it's kind of like a ship without a sail going along aimlessly in life and being tossed to and from with the stormy winds of life. Start with having a clear understanding of what your purpose is in life. Write down your vision of how God has revealed to you that your life should be, and depend upon Him each day for the direction in which He would have you to go. 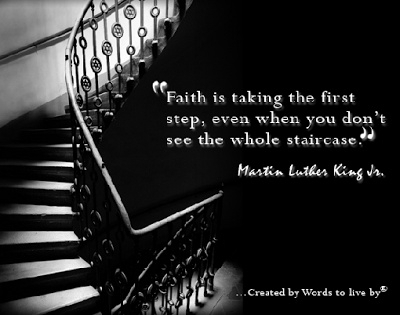 "Faith is taking the first step, even when you don't see the whole staircase." ~ Martin Luther King Jr.
Our journey in life is much like walking up a winding staircase in which you cannot see the next step, but require faith in order to know where to place your feet down. The bible reminds us that the steps of a righteous man are ordered by the Lord. And while He orders each step that we take, yet we must trust Him with all of our heart that He would lead us into green pastures and besides still waters. Our confidence and hope must continue to be in Him that He restores our soul, spirit and body when at times we become tired and weary along the way. Another approach to this is to focus all your attention, your energy and your resources on future events rather than the present moments, which after they are pass, you may never see again. 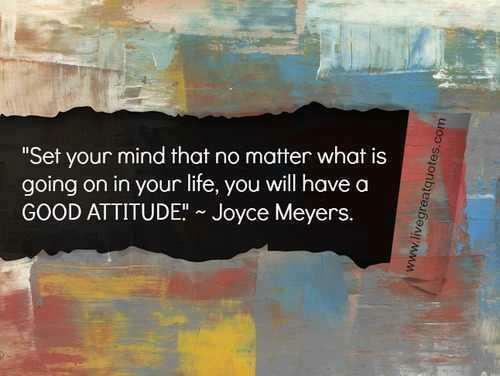 Having said that, it is amazing how much we can ease the pain that comes with the process we must go through in life, if only we alter the attitudes of our mind. Tests, trials and tribulations are inevitable, but through them all it is our attitude while in them and not the circumstances surrounding them that we would gain our greatest happiness. We are strengthened and can face adversities much better when we set our mind on the things above to build our account and increase the value of our reward in heaven, rather than giving our energy to earthly troubles that only weakens us. 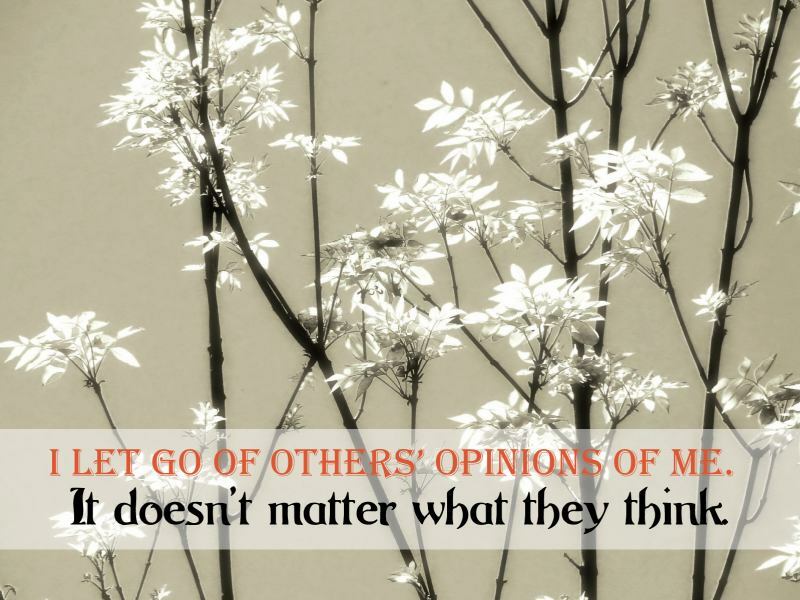 Others' opinions are just what they are - someone else's way of thinking about you. You don't count them as anything to loose sleep over or to be sad about because often times people's opinions are shaped by their thoughts about how they see themselves. Their attempt to magnify them in another persons' life is basically to divert attention from themselves. Perhaps you are at a place today when in hind sight you are now realizing how much years you have wasted on the things that you don't like, and even people that drew so much of your energy that drained and weakened you. It's time to examine your current life, focus on your vision, get a plan if you don't have one as yet and bring it in alignment with your vision and purpose. Finally, you and I have a wonderful promise that we can stand upon according to Psalm 91:16 that says: "With long life will I satisfy him, and shew him my salvation." 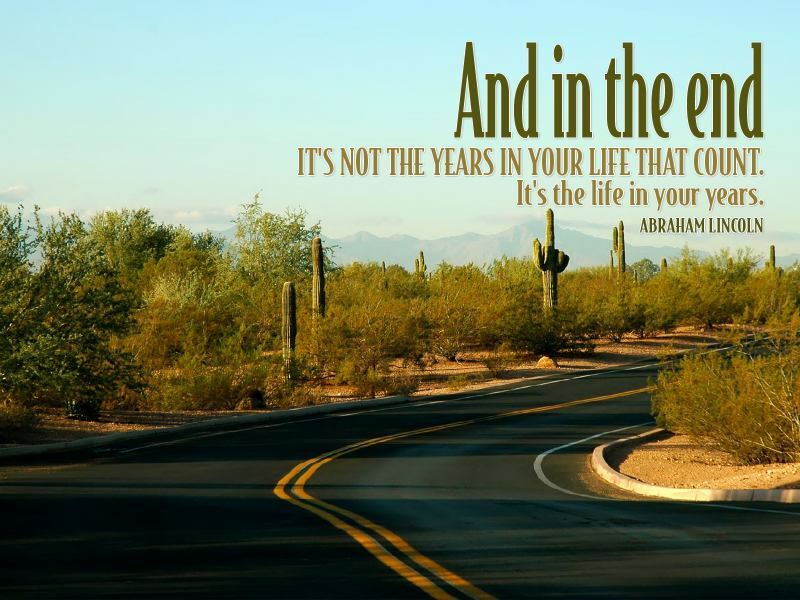 So, make the life in your years count! Thank you for this post. Needed some encouragement today. Life can sometimes bring you trials and tests that wants to knock the wind out of your sail, but God is still worthy and I will continue to trust Him. I am agreeing with you Janelle that God is indeed worthy and without Him we will not survive the storms of life. Be encouraged to shine in the midst of trials, storms and despair. Weeping may endure for a night but joy comes in the morning.